OnePlus recently launched its latest flagship smartphone OnePlus 6T. At the same time, its Thunder Purple Variant has also been launched. 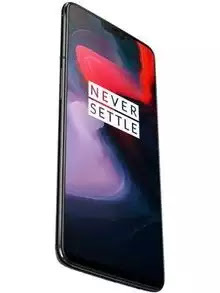 If seen, OnePlus 6T has not been long enough to launch and now Lexus about OnePlus 7 has started coming in. According to the new leaks, the company will completely remove the Nokia in its upscale smartphone. The company is preparing to remove the Nokia system from its smartphones. The company has given its traditional knock in OnePlus 6. At the same time, Water drop is given in 6T. According to the new leaks now, the OnePlus 7 will have an in-display front camera. At the top of the phone there will be a cutout in the middle which will be for the front camera. At the same time, according to some other reports, the OPPO R19 can be the first smartphone equipped with in-display front camera. OnePlus 7 will have the optic AMOLED full HD screen. It also has a screen-to-body ratio of 95 percent. It has the same camera module as the OnePlus 6T. However, there will be another sensor in it. It has 24 megapixels, 12 megapixels and 8 megapixel camera on its rear panel. Apart from this, the 24-megapixel front camera will also be present. 4150 MAH battery can be given for power transmission.